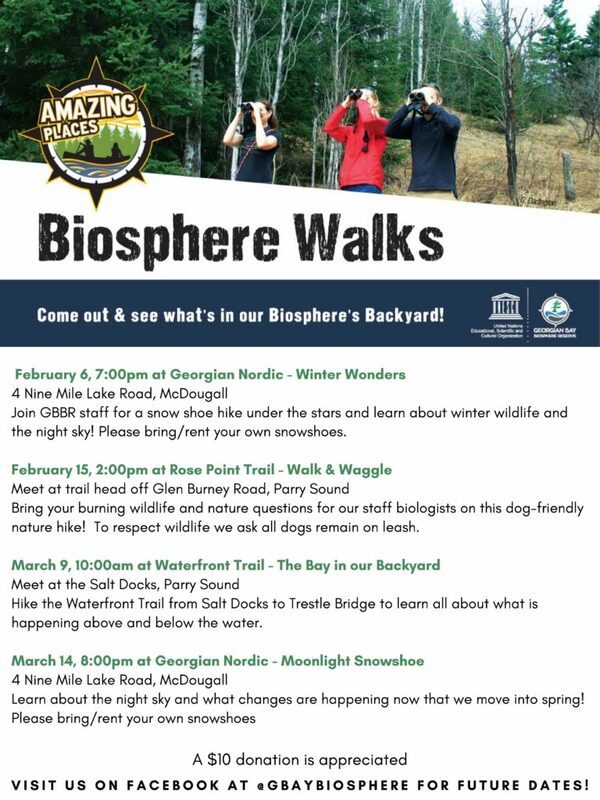 We are pleased to announce that there are a number of Biosphere Walks scheduled for 2019! These are opportunities to bring members of the community together to enjoy guided themed nature excursions at our Amazing Places locations. Topics discussed vary and can include birds, reptiles and amphibians, plants, geology, culture, and local history. Biosphere “Walks” can also involve other activities as well, including guided bike rides and snowshoe adventures. Donations are greatly appreciated and directly assist with our programming. For full event details, please see our Facebook page!